The Newcastle restaurant scene is taking inspiration from London and Manchester as of late and really stepping up their game. 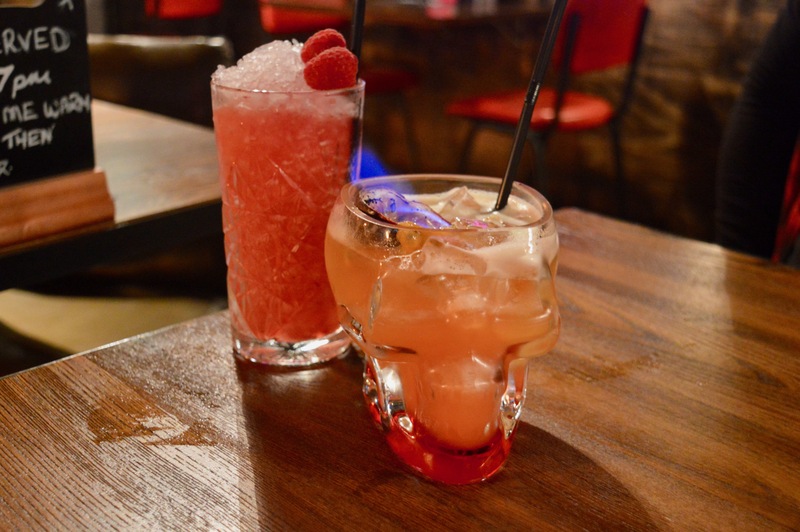 With themed restaurants and bars making their presence known there’s absolutely no shortage of places to eat in Newcastle City Centre. If you’re looking for somewhere special for date night, a quirky little joint for dining with friends. Or somewhere to cater for large groups for parties, our city has it all. 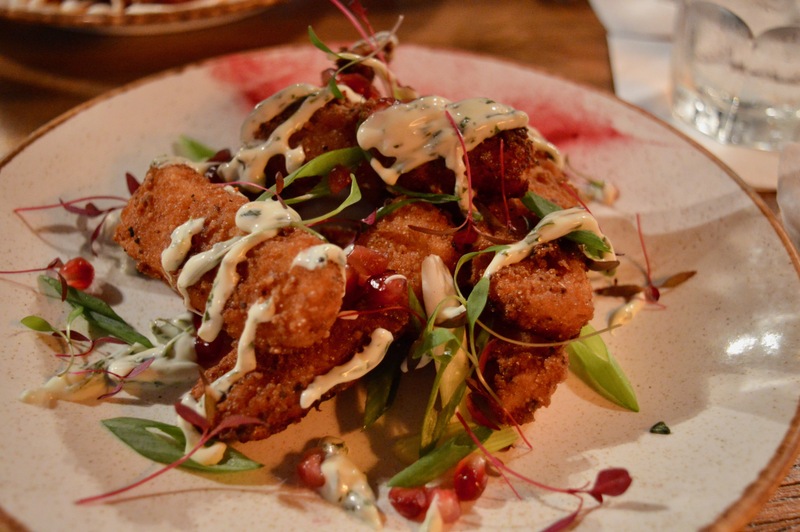 We headed to The Holy Hobo, which is located in Jesmond to check out their brand new launch. With a mantra of good vibes only. 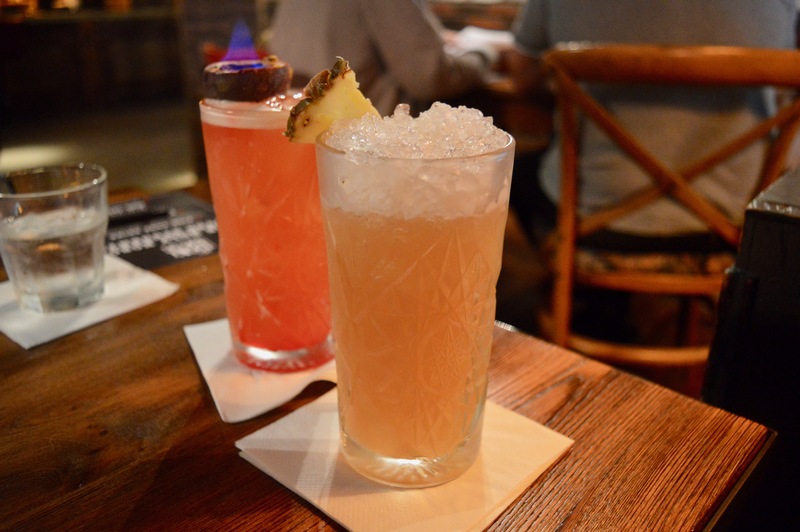 This neighbourhood bar hails itself as a perfect place for all to throw back and enjoy good food and great cocktails. The decor is quirky with booth seating, neon strewn on the feature wall, lots of wooden planters with a very leafy vibe. Relax with friends after a busy day around the pool table or just enjoy the atmosphere and ambience of good music and eclectic people. Having perused the extensive cocktail menu I was recommended a Rum Runner (£6.25). Champion I love a Tiki style drink. Trying to be good I avoided a Zombie, however, there was a Zombie (£7.50) ordered to the table. The drinks arrived and served in a tall glass with very little pizazz they didn’t resemble anything like their pictures on the menu. Which was slightly disappointing. We checked out the menu and ordered some starters. I opted for the Halloumi fries with fresh pomegranate, lime, coriander sour cream (£6.95). I know I need to go to Halloumi Anonymous for my sheer halloumi addiction, it is getting out of hand. 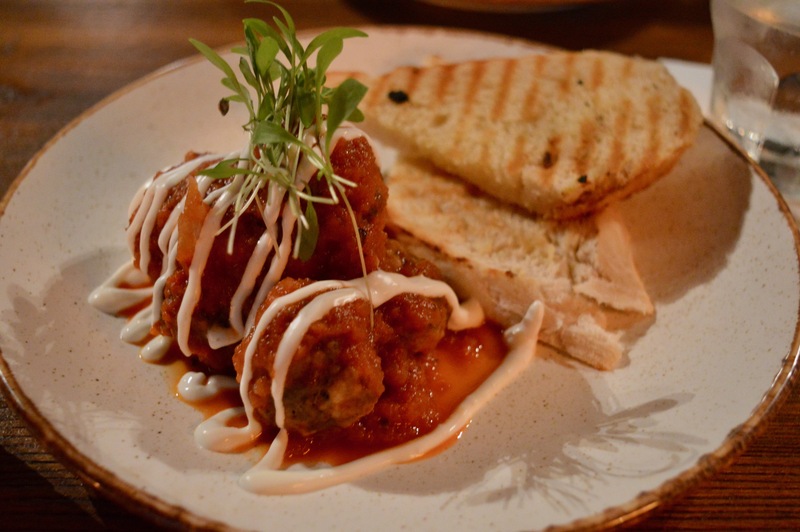 We also ordered the Italian style pork and beef meatballs with a wedge of sourdough toast (£5.95). Can we just take a minute to discuss this whole breadcrumbing a cheese that doesn’t melt? Like why are places doing this? Halloumi is a cheese best served grilled. The squeakier it is on your teeth the better it is and yes I know it’s the cheese of the moment. But for goodness sake, if places are breading cheese please don’t sacrifice halloumi! It doesn’t deserve it! Use mozzarella or something instead. I really didn’t rate the halloumi fries if you hadn’t guessed. The meatballs were average, they were very meaty flavoured. The quality of the meat was not great and aside from the overpowering meat flavour, they were relatively bland in terms of other flavours. All in all the starters had been a little bit of a disappointment. Onto the main. I had opted for one of their speciality Kebabs (£9.95-£11.95). 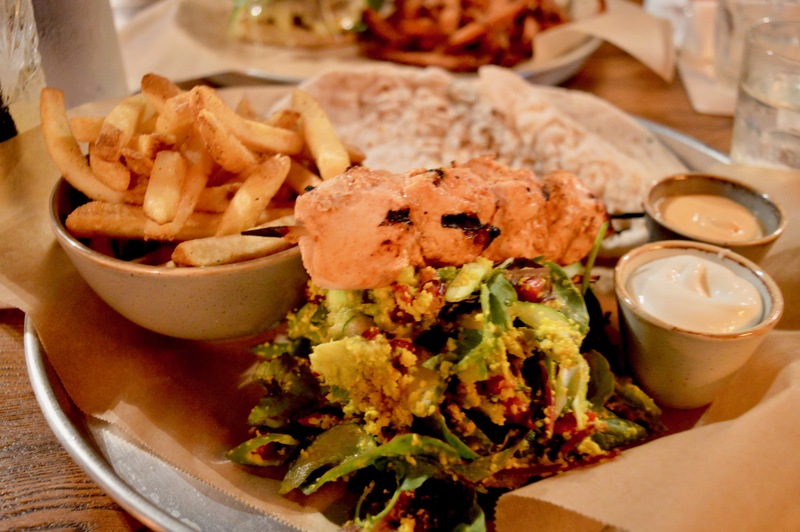 Having picked the tandoori chicken and the superfood salad I opted for the garlic dip and was also recommended the baconnaise (a concept which blew my mind – and at the same time I didn’t feel like it would be up my street). The chicken was massively lacking in any form of flavour, however, the meat was a good quality chicken. My salad was delicious, with fresh avocado, cauliflower couscous, pomegranate, cucumber, goji berries and spring onion. I should have passed on the baconnaise, this was not a good pairing. Bacon flavoured mayonnaise. Yuck. We also ordered the Lord Snooty (£13.50) with sweet potato fries. This burger came with Berwick edge mature cheddar, semi sun-dried tomatoes, free-range Cornish chorizo, pesto and rocket. The burger arrived and was meaty and served well. 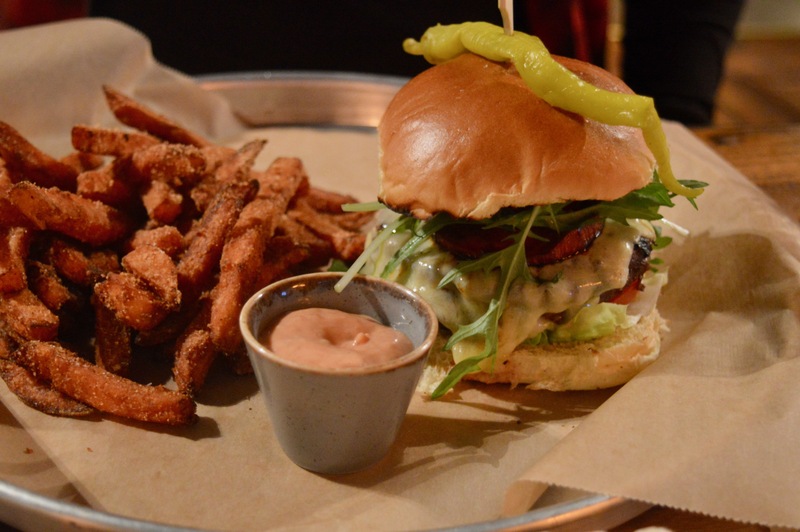 We did remark that no burger in Newcastle comes close to a meat:stack burger! As a result, we described our mains as an average main for the average price you’d pay in an average restaurant in town. Average. Another round of cocktails was ordered featuring another Zombie. 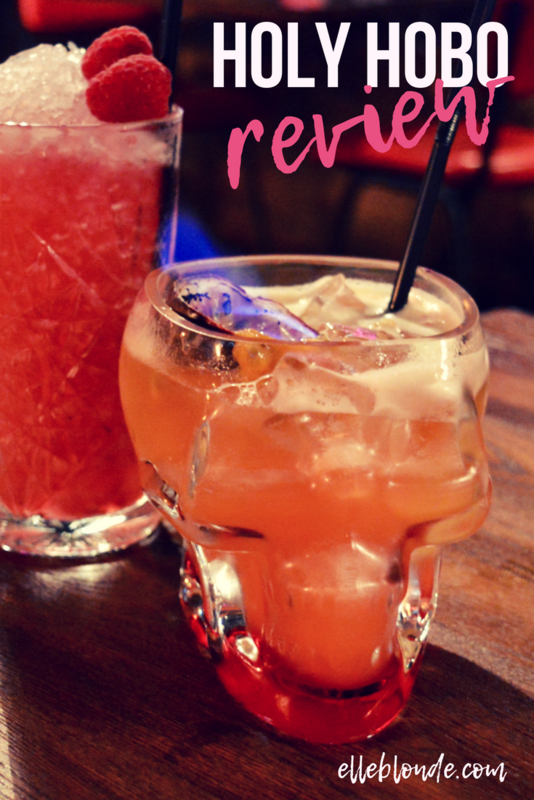 Served in the right glass this time and more like a cocktail to wow. As well as a Berry Berry Good cocktail (£3.25) which was a mix of berries muddled over cranberry juice and it was delicious. Finally, checking out the dessert menu we opted for the Apple Nachos which was toasted cinnamon pastry served with poached apples. With a side of custard and ice cream. 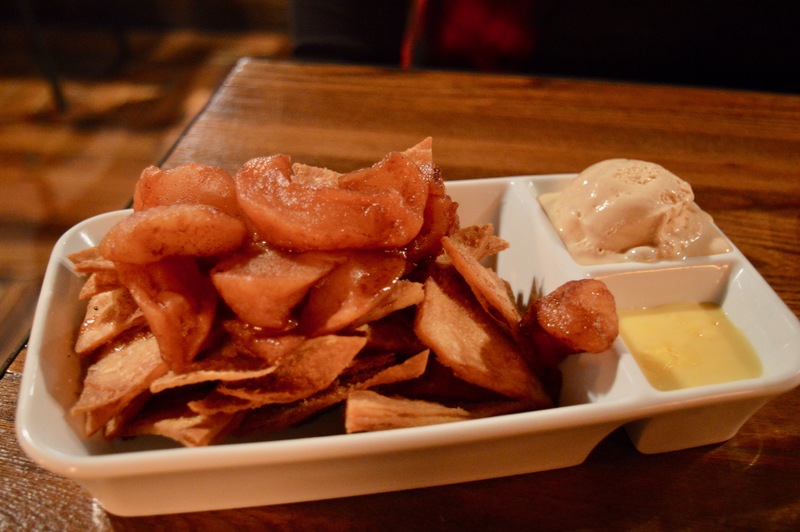 It was a really novel way to serve an apple pie and we quite enjoyed the thought process behind it. We also had opted for Nutella filled Churros. Nutella is one of my vices (after halloumi, grilled that is), these were served with a dipping sauce. I bit into said Nutella filled churro and it was unfortunately filled with the devil….toffee. I was extremely disappointed and soon learned that these were bought in and not made in the kitchen. All in all, ultimately the food was just average, the ambience was quite nice and the staff were so attentive. They did, however, seem solely focused on the price of things which consequently for me is something that detracts from the enjoyment of the meal. I just want to enjoy the food without thinking about the cost. The Holy Hobo is probably somewhere that I wouldn’t return to, simply as I feel there are a lot of restaurants serving similar menus which are even more satisfying and tastier and ultimately a similar competitive price. Next articleWhat Type of Travel Insurance Policy Do I Need?